Welcome to all enthusiasts of TILLOWITZ PORCELAIN !!! which can be collecting the china from the most significant porcelain factory in Silesia. 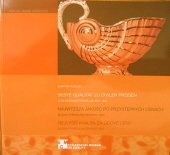 The following table lists is dedicated to Polish-language studies about beautiful Reinhold Schlegelmilch porcelain. Opinions expressed in this table are only the thoughts of the author. 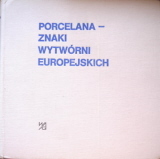 Śląskie Wydawnictwo ADAN pod redakcją: D. Emmerling, J. Filipczyk, J. Zydek, A. Zydek Over 80-page book development, containing about 200 porcelain exhibits since the production begining to the times of "Porcelit Tułowice". What is the uniqueness of this album? It is primarily the largest collection of figures photos that were produced in Tillowitz (Tułowice) before 1945. The study can also learn about the history of the factory and review the collection of several dozen marks. Obligatory copy of every collector !! M. Woźniak, E. Woźniak etailed descriptions will be soon available !!! I. Gatys, R. Gatys etailed descriptions will be soon available !!! S. Siess-Krzyszkowski Ketailed descriptions will be soon available !!! L. Chrościcki etailed descriptions will be soon available !!! J. Filipczyk- Topolnicka etailed descriptions will be soon available !!! Pod redakcją Markusa Bauera etailed descriptions will be soon available !!! Publication of the materials without agreement of author is prohibited.